Tomsheck said border politics, internal policy and the Border Patrol's warped view of itself hampered his efforts to investigate shootings while he was head of internal affairs. In briefings to the FBI in fall 2012, senior Customs and Border Protection leaders outside of internal affairs had pegged the corruption rate among employees at one time or another in their career as high as 20 percent or more. Shocked by that “integrity gap,” the FBI adjusted its priorities to focus its anti-corruption efforts on federal employees, with an emphasis on border agents and officers, said Ronald Hosko, a retired FBI assistant director for the criminal investigative division who attended the briefings. “The FBI remains committed to working with all of its interagency partners to address corruption and is actively engaged in working to ensure the cooperation between the FBI and its partners remains strong,” said Joseph S. Campbell, the current assistant director for the criminal investigative division. But Tomsheck’s efforts to fight corruption were met with resistance from both Customs and Border Protection officials and others in the Homeland Security Department, allegations that Hosko, Tomsheck’s former deputy and others confirmed. In particular, Tomsheck said he had been criticized – and eventually retaliated against – for not following the agency’s “corporate message” on corruption and failing to diminish the problem by “redefining” it so it appeared to be less of an issue. His battles were particularly acute during the Obama administration’s first term, when Alan Bersin, a former U.S. attorney in San Diego, was the commissioner and his deputy was David Aguilar, who had ascended through the ranks of the Border Patrol to be its chief before he became the No. 2 official. Bersin, who left Customs and Border Protection at the end of 2011, is the assistant secretary for international affairs at homeland security as well as the department’s top diplomatic officer. Aguilar, who became the acting commissioner, retired in March 2013. Customs and Border Protection, the Homeland Security Department inspector general’s office and Aguilar declined to comment. Bersin did not respond to a request for comment. 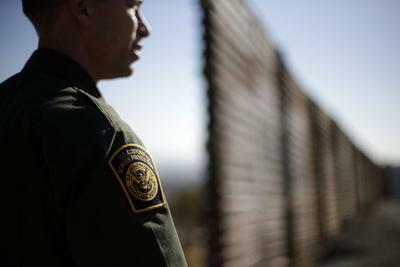 A spokesman for the National Border Patrol Council, the union that represents 17,000 Border Patrol agents and support staff, disagreed with Tomsheck on his allegations of excessive use of force. Shawn Moran said agents use force reluctantly and only when necessary. Thorough outside investigations have yet to show that an agent’s use of force was unjustified, he said. Under Aguilar, he said, Border Patrol leaders viewed themselves and their mission as something far different than agents in the field. Those agents don’t overvalue or see themselves as a paramilitary force, Moran said. Nor do they want to work with corrupt agents or people unsuitable for law enforcement slots. A month later, in a closed-door meeting with top internal affairs officials on April 15, 2010, Aguilar tried to pressure Tomsheck and his then-deputy, James Wong, into redefining corruption to only include “mission-critical” compromises, such as taking bribes or other payment to aid drug traffickers and human smugglers. When Tomsheck balked, Aguilar retaliated by penalizing his performance review, the former internal affairs chief alleged in the complaint. His negative review was subsequently reversed by Customs and Border Protection, and his 2011 whistleblower case was resolved. Tomsheck said he believes that thousands of employees hired during an unprecedented expansion of the agency in the post-9/11 era are potentially unfit to carry a badge and gun. He said he was certain that criminals and other infiltrators had entered its ranks. Others may pose security risks because of their past criminal activity, links to criminal organizations and frequent drug use. Tomsheck based his estimates on the results of pre-employment polygraph exams administered to job applicants. Approximately 55 percent of applicants get disqualified by the polygraph, which wasn’t mandatory for all job seekers until 2013. Since October 2004, roughly 170 Customs and Border Protection employees, including Border Patrol agents, have been arrested or convicted of corruption-related charges. But in recent years the annual number of busts has slowed, which Tomsheck and Hosko attribute to a failure to share information properly among anti-corruption agencies, including the inspector general’s office and the FBI. There have also been more than a half-dozen fatal cross-border shootings, not all of which are questionable, Tomsheck said. In one recent review of a lethal shooting he signed off on before his ouster, he found an agent acted accordingly to protect a fellow agent who had put himself at risk. Yet Border Patrol leadership had falsely reported on at least one occasion that a person had been on U.S. soil when agents shot and killed him, but that “was clearly not the case,” Tomsheck said. He declined to cite specific examples because many cases still may be under review. The internal affairs office was frequently thwarted by Customs and Border Protection’s own policies. Border Patrol management often stepped in before Tomsheck’s office could review the shootings, because until October 2012, Customs and Border Protection policy didn’t clearly authorize internal affairs to conduct those inquiries. Independent investigations are critical to maintaining the integrity of the agency, former officials said. Tomsheck’s statements follow news reports in June that he was removed from his office because of a “lack of aggressiveness,” according to an unnamed Homeland Security Department official in investigating excessive use of force and abuse in the border agency. He counters that senior officials at Customs and Border Protection and elsewhere in the Department of Homeland Security interfered with, delayed or hindered his office from being more aggressive in rooting out corruption, abuse and other misconduct, including civil rights violations, by telling internal affairs to stand down or back off. Based on a long-standing homeland security directive, internal affairs had to line up behind other agencies that took the lead in misconduct investigations. 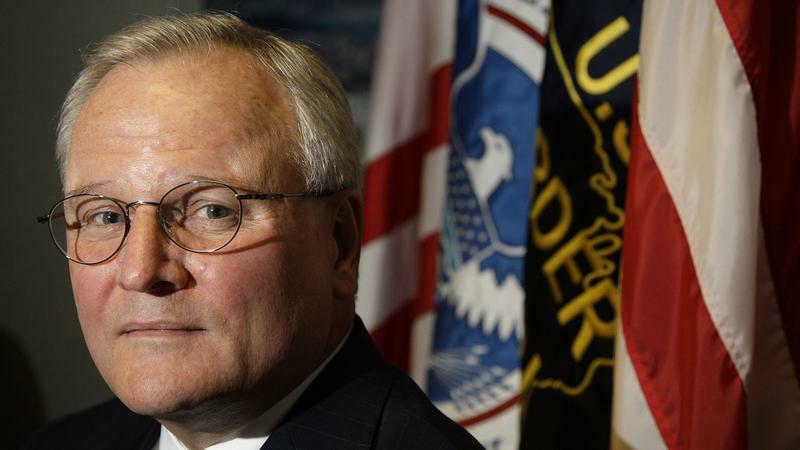 Tomsheck agreed to speak with CIR without the consent of Customs and Border Protection. The agency did not respond to his request to speak publicly. In an interview last month with CIR, R. Gil Kerlikowske, the commissioner of Customs and Border Protection, said he was looking for a different or fresh perspective when he removed Tomsheck. He did not respond directly to questions about how internal affairs had not been aggressive. The commissioner has called for a review of 67 shootings highlighted in a 2013 independent report of the agency’s use of force and has tapped an FBI agent to helm the internal affairs office in the interim. “I have nothing but the highest regard for Jim – and told him so – and believe he can be very worthwhile,” Kerlikowske said. While colleagues, including a former commissioner and his internal affairs deputy, have come to Tomsheck’s defense, others have challenged his leadership. Advocates, civil rights groups and others have excoriated the agency for a lack of action on complaints of abuse and excessive use of force and for failing to be more transparent. Tomsheck said their outrage was misdirected. He said he was ultimately scapegoated for not doing a job that wasn’t, by policy, assigned to internal affairs for the most part. Allegations of wrongdoing he believed needed to be investigated instead would go to Border Patrol management for review and discipline. Those inquiries went nowhere or were inadequate, he said. Other trouble stemmed from a pilot program that aimed to identify potentially corrupt employees. That program, which accessed financial records and so-called suspicious activity reports collected by the Treasury Department, was accused of violating federal employees’ privacy. Dubbed SAREX, for Suspicious Activity Reporting Exploitation Initiative Pilot, the program shared personally identifiable information, like Social Security numbers, with the FBI. In acritical letter, the Homeland Security Department’s chief privacy officer upbraided Tomsheck and internal affairs for how they deployed the program and handled personal information. Tomsheck defended the program, saying his agency’s privacy and diversity office had found no wrongdoing, and that his office had followed department protocols. Hosko, the retired FBI assistant director, also defended the program, saying that federal employees should expect to have their lives scrutinized, particularly with the corruption threat as high as it was. A Customs and Border Protection spokesman said the matter was being reviewed by the inspector general’s office and he could not comment. Tomsheck said the agency needed better training and culture change to shift that mindset that the agency is above reproach. But it isn’t just the Border Patrol that sees its mission – which he acknowledged as often in rugged, geographically remote areas and working without immediate backup – as unique, Tomsheck said. The FBI, Justice Department and inspector general have come to view the Border Patrol through that lens, which distorts the review process, he said. As the ranks swelled at an unprecedented pace at Customs and Border Protection during a hiring surge that began in 2006 and added 17,000 employees, Tomsheck said a “perfect storm” for corruption and misconduct developed. Hosko said he brought problems involving a lack of collaboration by the inspector general’s office with misconduct investigations to the attention of directors of the FBI and the deputy attorney general’s office, but he saw no action taken. Much of that was because for the better part of a decade for those in the upper reaches of government, including Congress, everyone’s mind was on terrorism, Hosko said. This story was edited by Robert Salladay and copy edited by Sheela Kamath and Christine Lee.